Helping your child with many physical challenges. At Pequa Physical & Aquatic Therapy centers, treating children includes thoroughly examining, evaluating and assessing those areas in which your child may have difficulty functioning. We then incorporate active therapies to address those specific areas. Our experienced physical therapists are especially sensitive to children's needs. 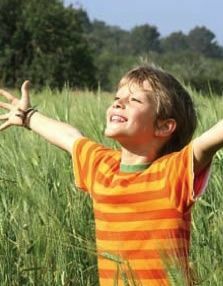 They know that a child's body undergoes many changes and that many concerns are treatable with proper physical therapy. At Pequa Physical & Aquatic Therapy, our goal is to help you and your child. We can reduce or eliminate the pain of an injury and restore your child's functional abilities for a better quality of life. We tailor physical therapy programs to fit each child's unique capabilities and needs. For more information on our compassionate treatment for pediatric musculoskeletal injuries and developmental disorders or to schedule an appointment, call the Pequa Physical & Aquatic Therapy center nearest you today. We welcome and encourage your referrals.